The last few weeks and even months have been quite hectic, as we were busy planning the tour of a lifetime, doing a few more Bucket List items. 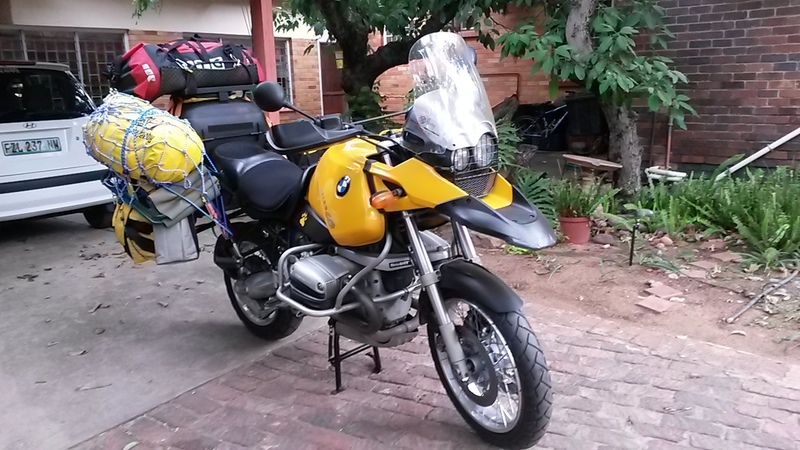 I have bought my yellow BMW R 1150 GS with this tour in mind. 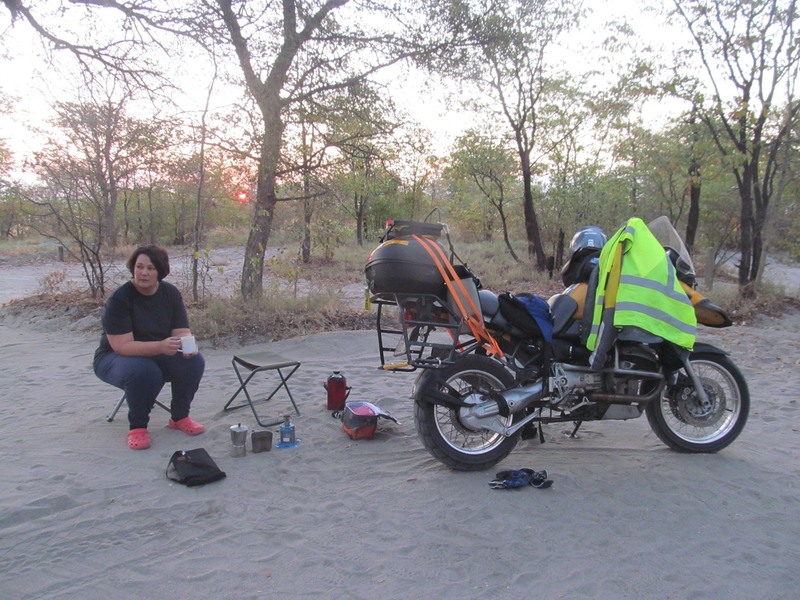 And as I do not have metal pannier boxes on board, it was a huge challenge to think how me, my wife and all our luggage including a tent, bedding, cooking utensils, clothes etc,,, will be carried on board. In the last few weeks I had the bike serviced- checking everything… except… we will come to that. I had a new front tyre fitted. And then, on Saturday 27 June 2015 it all came together. 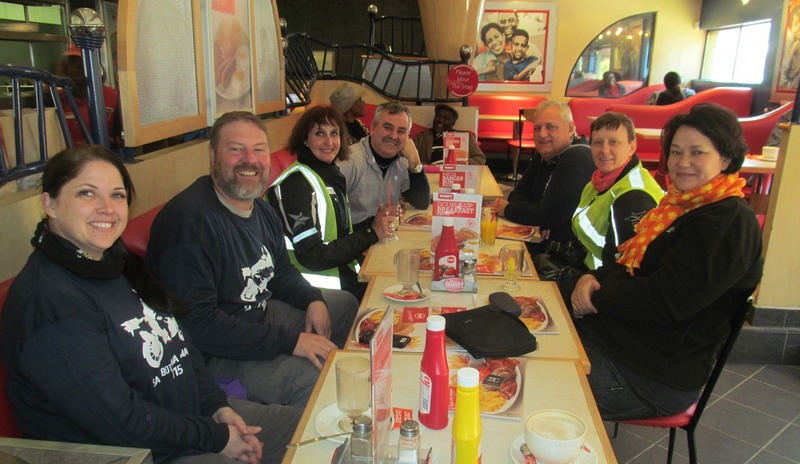 The others of the group came from Nelspruit, Kempton Park and Edenvale, and gathered at my house. After we fed them some delicious hamburgers, we departed on our journey. The first day was relatively short for me- only 165 km to Ellisras, where we stayed over for free at a friend’s church. The first leg of the journey was not without incident- my wife decided to take her iPad along, and it just jumped out of her backpack and commited suicide onto the tarmac, 30 k’s from home. If anybody want to donate a usable 1Pad, it will really make her smile again! Our bike packed just before departure. Man, it was HEAVY! When we arrived at Ellisras, we went out for a meal. And at the meal Johan and Magda surprised us with this beautiful sweaters they have designed for us. I really love how my wife has adapted to the biking trip, enjoying it a lot! 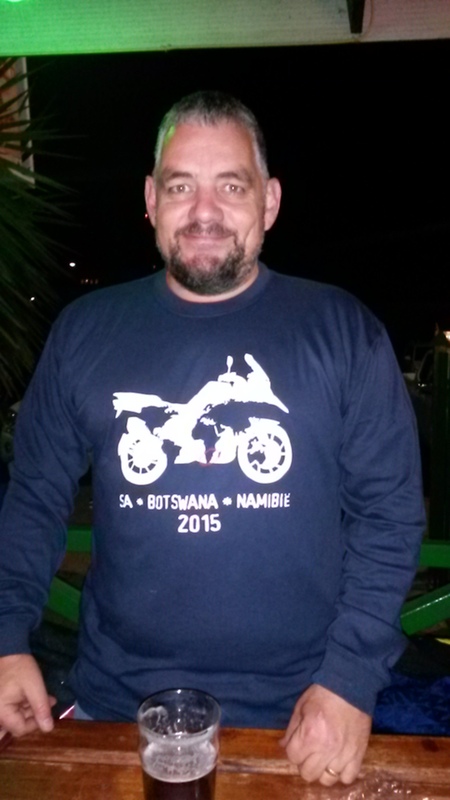 This entry was tagged Adventure, Africa, BMW Motorbikes, Botswana, Motorbikes, Overlanding. Bookmark the permalink. 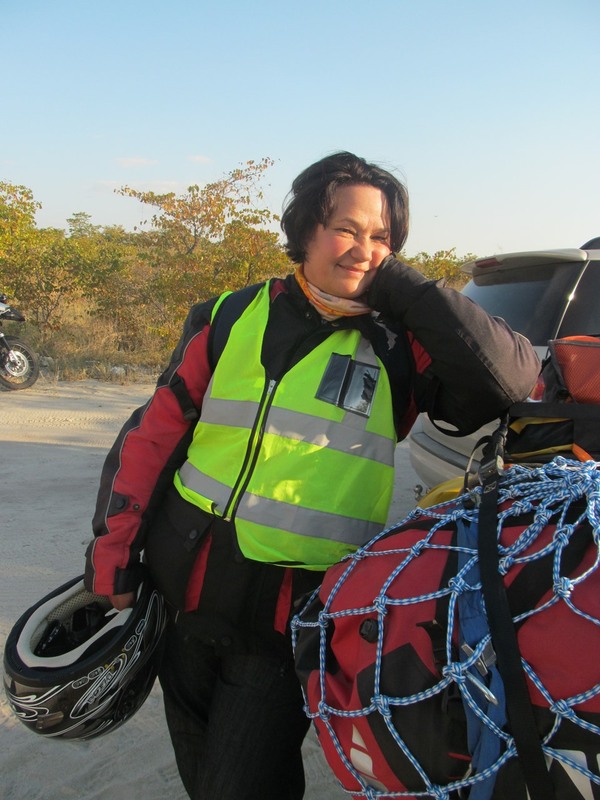 Sal dit nie te lank probeer uitstel nie… 🙂 Moet net weer stad toe oor die naweek om my motorfiets maandag te gaan haal en te kyk wat ons kan doen om hom reg te kry!